As the title says, I will have a meeting time for everyone who just want to talk to Kiyo, the MD of Nakano Property Malaysia. Sorry I am too busy to have some time for each person. 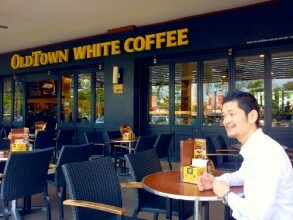 So I decide to work in every Tuesday morning from 8 am to 10 am at Old Town Coffee at Axis Atrium Pandan Indah to meet you in person. Basically it will be the time for any topic discuss with Kiyo. Anyone, Any race, Any nationality who want to rent, buy, rent out, sell your property can join. 無料会員登録いただき、日本語、英語が喋れればどなたでも After free membership registration Anyone who speaks English or Japanese. Any race any nationality. 目的 Purpose ナカノプロパティーマレーシア代表中野と不動産に関すること、マレーシアに関すること、それ以外のこと（ビジネス、起業、WEB、ECなど）等、とにかく中野と話がしたいという方と、毎週決まった時間を持つ To just have a free talk with Nakano Property Mayalsia Sdn Bhd’s MD, Kiyo. Any topic including Malaysia,Property, business, WEB is OK. Especially local agent, property owner, people related to Malaysian Property is welcome. 料金 Price 無料（ただしご自身の飲食代はご負担ください） Free but you pay what you eat and dring. その他 Othes 基本的に毎週開催ですが中止の場合は開催日2日以内にこちらページにて連絡します。参加ご希望の方は必ず前日にこちらページで確認ください。 Basically I will do my job at the Old Coffee at the term and time above but I will inform here within 2 days before the Tuesdayif I can not hold this meeting.